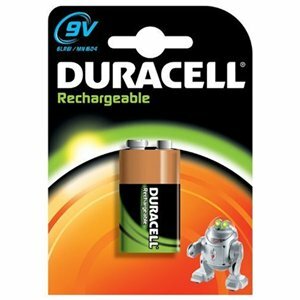 High performance Duracell rechargeable 9v batteries. These 9V batteries are square in shape and commonly found in smoke alarms and remote control toys. Not only are they of the high standard known by Duracell but they will last much longer as they can easily be charged back to full capacity over and over again!